Travel Information : 20 Minutes by taxi from Barcelona Airport The Nearest Train Station is CATALUNYA STATION. The Nearest Under ground station is Drassaness only 05 minutes walking distance from the hotel. The area has an excellent public transport network (subway and buses), and a ride to the airport or main railway station takes only about 10 minutes. 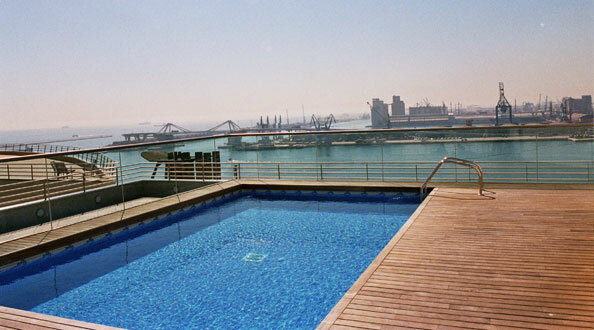 Short description : Mediterranean air, avant-garde art, and a soft sea breeze prevail at the privileged facilities of the five-star Eurostars Grand Marina GL , THE RAMBLAS , hotel located in the World Trade Center leisure and business complex in the heart of Barcelona's Port Vell. The colour of the RAMBLAS and the magic of the GHOTIC QUARTER merge into a cocktail of incomparable flavour which can be perceived from all eight floors of this magnificent establishment, bound to become a point of reference in Barcelona's most select luxury hotels. Businessmen and women and tourists in for pleasure will find here the ideal enclave to enjoy a truly dreamlike stay, immersed in a world of comforts. As well as finding yourself in the lap of luxury, you will have an excellent network of public transport to the city's most important areas at your disposal. 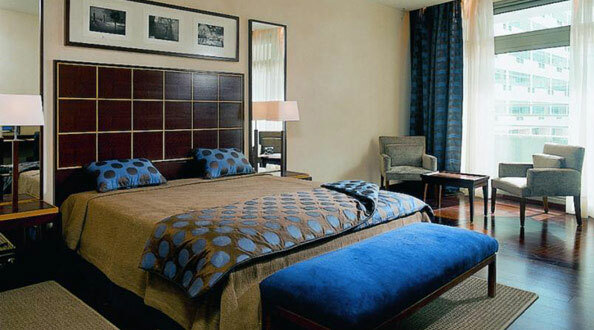 Room Information : The hotel has a total of 235 double rooms on eight floors, including 38 suites plus a spectacular Presidential Suite on the top floor with a private terrace and unparalleled views of the city. 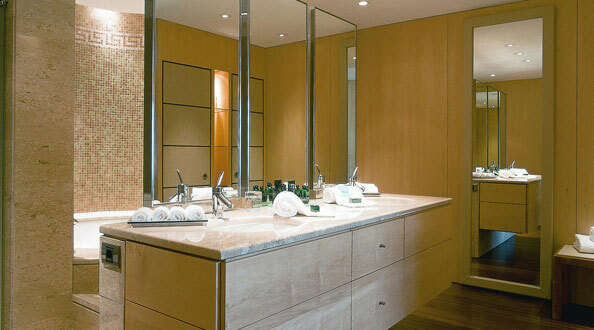 All of the rooms, which range between 30m2 and 44m2 in area, are equipped with water massage bathtubs, and the suites and superior rooms have, in addition, separate shower stalls. 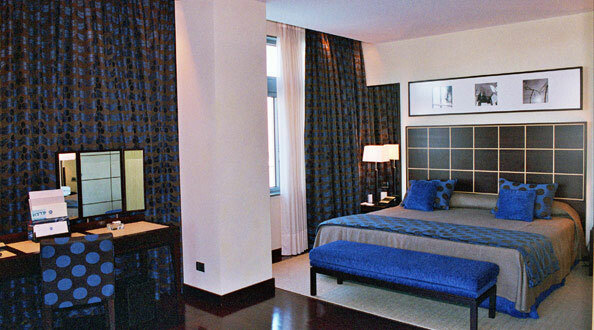 All the rooms include the latest technological innovations, and offer the highest level of comfort. Decoration is elegant, with subdued and relaxing colours, rich woods and fabrics of the highest quality, providing a luxurious, well-balanced atmosphere. The meticulous attention to details is also evident in the hotel, which is in perfect harmony with its Mediterranean surroundings. Cancelation Policy : Cancellation Policy: If cancelled up to 1 day before the date of arrival, no fee will be charged. If cancelled later or in case of no-show, the first night will be charged. Children and Extra Bed Policy: All children are welcome. All children under 2 years stay free of charge when using existing bedding. All children under 2 years stay free of charge for cots. All older children or adults are charged EUR 107.00 per night and person for extra beds. Maximum capacity of extra beds/babycots in a room is 1. Deposit Policy: No deposit will be charged. VAT and city/tourist taxes: VAT is included. Service charge is included. City/tourist tax is not applicable. Internet: Wireless internet is available in the business centre only and is free of charge. Meal Plan: Buffet breakfast is not included and cost EUR 23.50 per person. Parking: Secured parking is possible on site costs EUR 23.50 per day . Pets: Pets are not allowed. 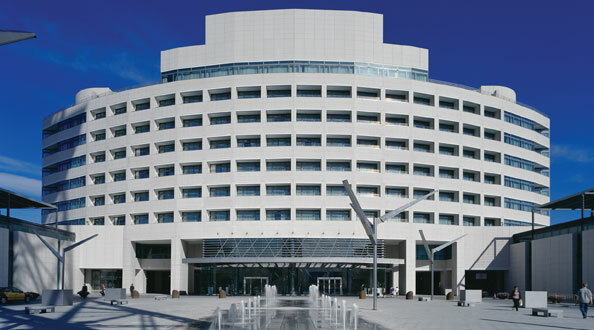 Hotel Information : Facing the sea, and with a total area of more than 200,000 square feet, the hotel building rises up on the western side of the rectangle that constitutes the World Trade Center complex. This exceptional architechtural structure is reminiscent of the bridge of a large ship. The remaining three sides of the rectangle house convention halls and offices, as well as an executive club and a growing shopping centre. 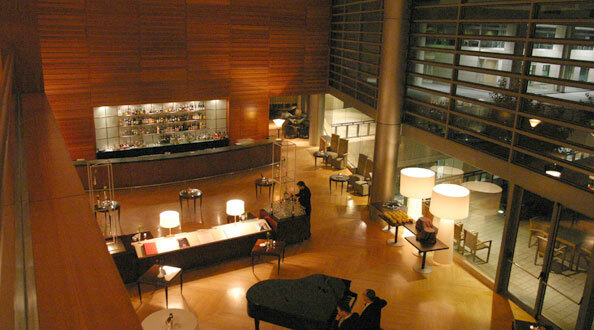 The hotel also has a lobby lounge and a piano bar, featuring live music every evening of the week. Its privileged location and the excellence of its facilities make the Eurostars Grand Marina the ideal place to hold events of any kind. 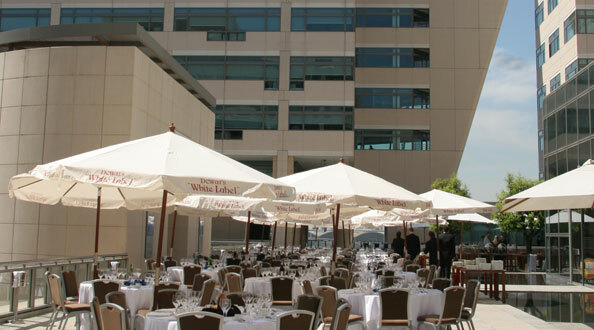 The establishment offers four halls with capacities of 80 to 1,000 people, as well as the exclusive hall, the Grand Marina Club. With natural light and a view of the harbour, all of the halls are air conditioned and have facilities for videoconferencing and computer connections, and include the latest audiovisual systems. 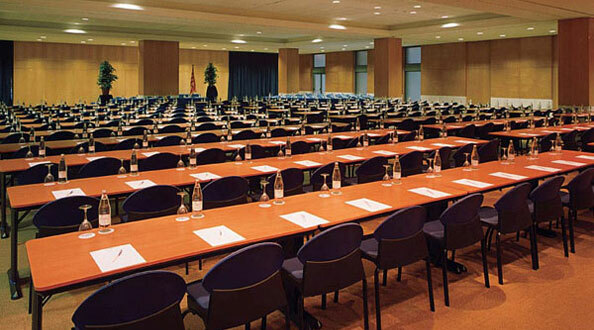 The hotel can also offer its guests the 34 meeting rooms of the WTC and its auditorium for up to 430 people. 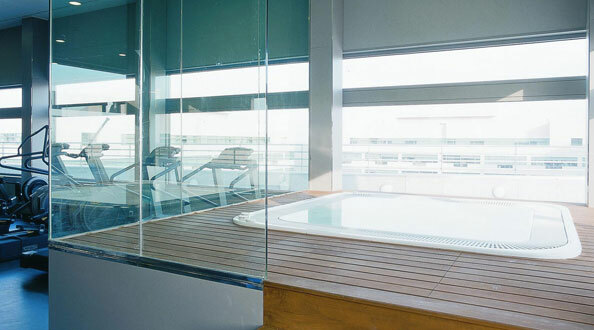 For moments of relaxation, the Eurostars Grand Marina has a gymnasium with sauna and jacuzzi and an outdoor swimming pool with fantastic views of the city, both of which are on the eighth floor. The hotel also has a hairdresser's and a massage service. Food & Beverages : The most exquisite palates will find their own paradise of tastes in the hotel's broad, varied gastronomy. From the rings of the "Aire de Mar", with seating for 120, come the best dishes of Mediterranean cuisine. 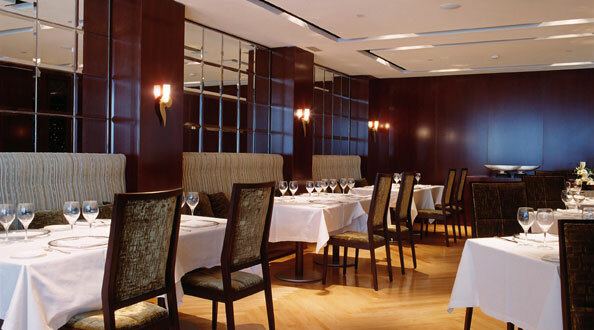 The restaurant, which serves buffet breakfast, lunches and dinners, rounds off its offer with a warm private dining room for 40. Its privileged location and the excellence of its facilities make the Eurostars Grand Marina the ideal place to hold events of any kind. 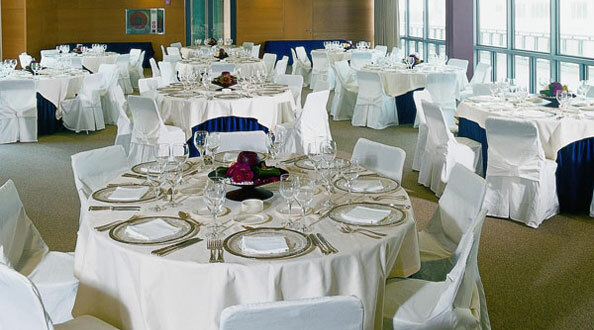 The establishment offers four halls with capacities of 80 to 1,000 people, as well as the exclusive hall, the Grand Marina Club. With natural light and a view of the harbour, all of the halls are air conditioned and have facilities for videoconferencing and computer connections, and include the latest audiovisual systems. 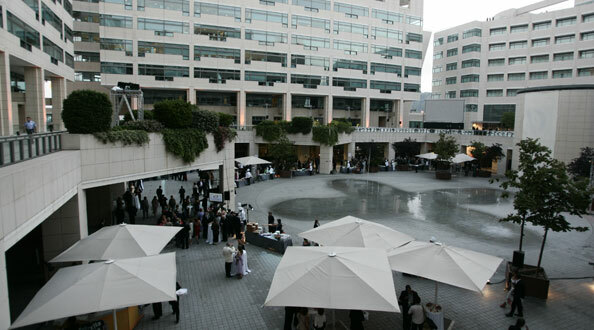 The hotel can also offer its guests the 34 meeting rooms of the WTC and its auditorium for up to 430 people. 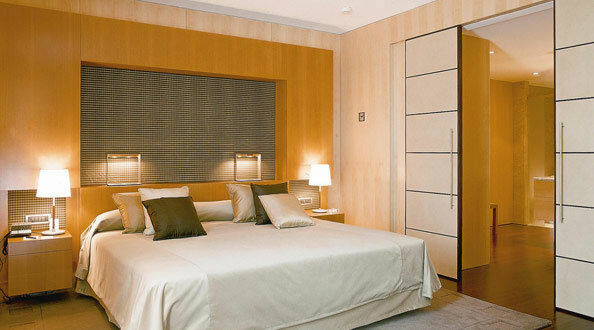 Region Information : At a mere 10 minutes from the airport and the Sants Central Train Station, the hotel is also an excellent starting point for visits to the GHOTHIC QUARTER ,LAS RAMBLAS, the Cathedral and the Picasso Museum, as well as the centrally located shopping districts of PLAZA CATALUNYA and Passeig de Gràcia. 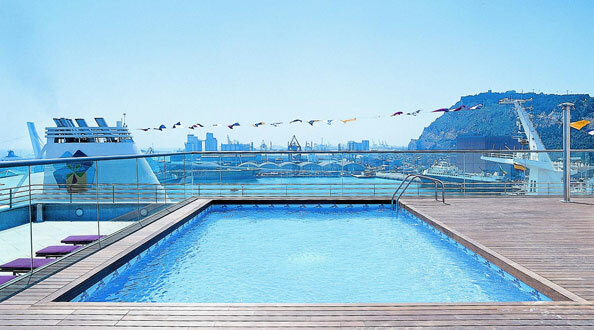 This direct connection to the heart of the city's historical, commercial and financial areas, tops off the list of true luxuries that Eurostars Grand Marina Hotel offers its guests. Barcelona Shopping Line The Barcelona Shopping Line is a retail thoroughfare stretching from the Port Vell, or old harbour area, to the uptown Avinguda Diagonal. It brings together the largest and most unique range of shops. Here, prestigious international brands stand side by side with the typical Barcelona shops that highlight the city’s individuality. Along the route you will find the most authentic representations of Catalan design in the form of designer fashion, leather goods, decoration and gift items. The shops are, without a doubt, a tourism magnet that sets the city apart. The window displays are showcases for these shops and part of the image of the city tourists take away with them. Catalunya Bus Turístic Visit Catalonia's landmark sites with this bus service which includes many special deals. Half-day excursions Very near to Barcelona you will find spectacular places, such as the mountain of Montserrat, the wineries of the Penedès, the Catalunya en Miniatura Park. Things to do You will always find something to do in Barcelona. The city has over 50 museums, showcasing permanent collections of works by artists such as Picasso, Joan Miró and Antoni Tàpies. At the Museu Nacional d’Art de Catalunya (MNAC) you can see one of the world’s most important collections of Romanesque art. It also has famous collections of contemporary art housed in museums such as the Museu d’Art Contemporani de Barcelona (MACBA) and CaixaForum. Most museums stage temporary exhibitions. The city also hosts a number of renowned music festivals devoted to jazz, flamenco, classical and contemporary music. The city also has two classical music venues with a high-quality programme of events: the Palau de la Música and L’Auditori. In addition, the opera house, the Gran Teatre del Liceu, hosts one of Europe’s most prestigious opera seasons.